Woodlawn Cemetery is maintained in the "rural cemetery" spirit in which it was founded 125 years ago. 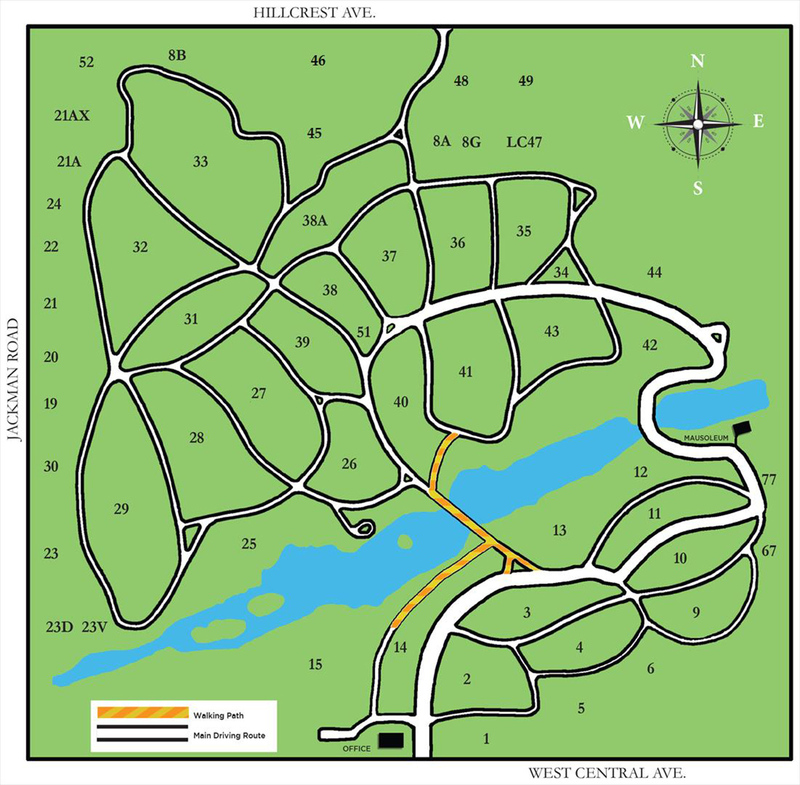 Everything in it is as Adolph Strauch, creator of the landscape lawn plan for cemeteries, said of nineteenth-century rural cemeteries, "tasteful, classical, and poetical". The cemetery’s designation as a National Historic Site was largely in recognition of its many turn-of-the-century buildings, unique monuments and ornate ironwork. 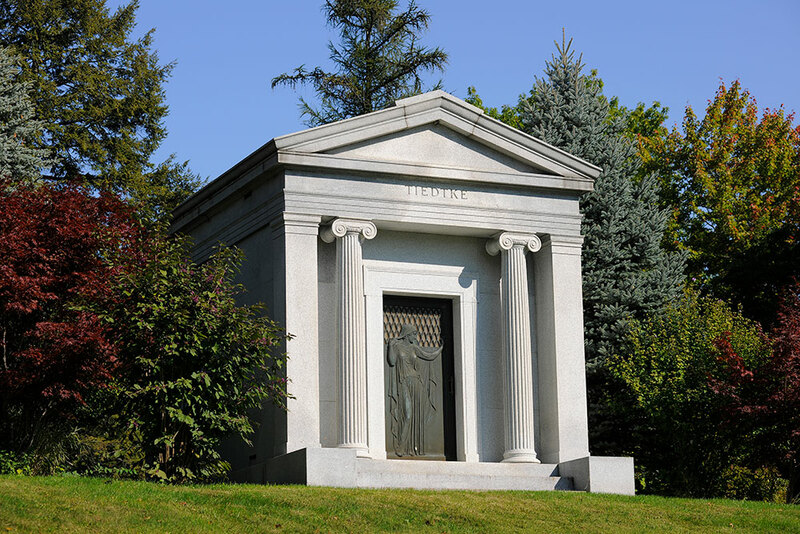 The 42 private family mausoleums on the grounds of Woodlawn date back to the 1880s. Many of Toledo’s most prominent families have erected mausoleums here, including the Stranahans, Berdans, Chesbroughs, Spitzers and Snyders. The mausoleums represent a wide range of architectural styles, from Classical and Neo-Classical, to late Gothic and Egyptian Revivals. Victorian Fad monuments, which resembled tree trunks with all the branches cut off and were meant to symbolize an unfinished life, also appear. The grounds are also home to some unique personal representations, like the Gunckel pyramid (1917), the Bessie Ludwig chair monument (1930) and the GAR Civil War monument (1901). Built in 1903 in the Romanesque style, this irregular and unusual structure is dominated by a bell tower, which is believed to be the center remains of a late nineteenth century windmill that was located on the site. The belfry is similar to a battlement and has a large square window on its front and rear, while on each side, there is an arched window. The office building itself wraps around the tower and has retained its historical integrity, appearing on the outside just as it did when it was built. Its walls are of rock-faced coursed Ohio limestone topped by a slate roof. The tradition of tolling the bell to signal the arrival of a funeral procession continues today.